The gods of the red sphere have an ambivalent disposition, being neither benevolent nor nefarious. They created the afterlife of Myrradim and the species kryll, who are dominated by their combined attributes. In the Court of Gods, they rule each season (along with their counterparts in the other spheres). 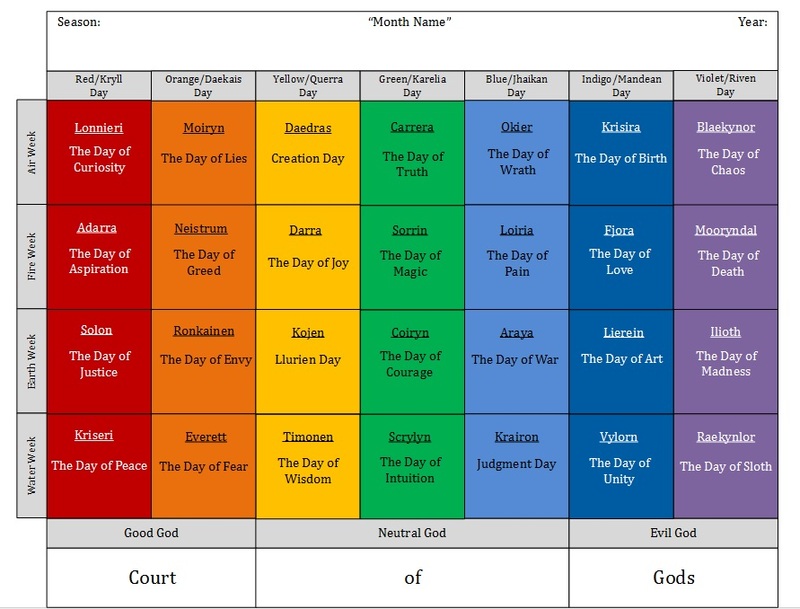 Their day is the first day of each week (Red Day).